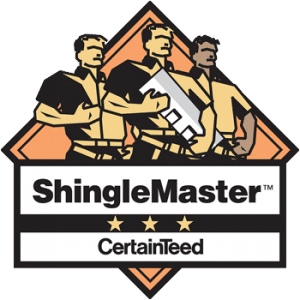 Are you looking for durable, stylish roofing material for your home, something that will stand up to the sometimes fierce Mid-Atlantic storms, that will last for years and years to come? Consider metal roofing from Dominion Roofing Co. for your next roof replacement project. Dominion Roofing Co. has been providing metal roofing installation, metal roofing repair, and metal roofing replacement throughout the Maryland area for more than 25 years. Whether you are having a metal roof installed for the first time or you’re having an existing metal roof repaired or replaced, trust the roofing professionals at Dominion Roofing Co. Fill out the contact form on the right or give us a call today to get started! Metal roofing consists of pressed sheets or tiles made of steel or aluminum that are nailed into place by roofing installers. Approximately ten percent of residential roofs in the United States are made of metal roofing. Metal roofing was one of the most popular forms of roofing in the 19th and early-to-mid 20th centuries before the introduction of inexpensive asphalt roofing. Today, metal roofing has enjoyed a resurgence in popularity due to the many benefits that it can offer over traditional asphalt roofing. Read on below to learn more about the benefits offered by a new metal roof. Fire resistant. Metal is impervious to flame. Even the most well-treated wood or asphalt can’t say that. Beautiful. Metal roofs have a distinctive, durable look that shines in the sunlight. Metal roofing is available in a variety of colors and styles. Durabile. You can expect your metal roof to last for up to 50 years. That far exceeds the 12-year average life of an asphalt roof. Because metal roofs are so durable, many insurance companies offer discounts on homeowner’s policies for homes with metal roofs. Storm resistant. Metal roofs stand up to the worst that Mother Nature has to offer, including extreme winds and hail storms. 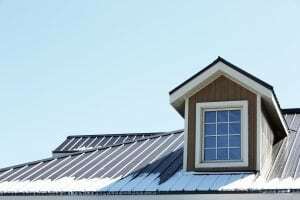 Nor is metal roofing affected by refreezing and thawing or dramatic changes in temperature like wood roofs can be. Eco-friendly. Most metal roofing is partially made from recycled steel. Plus, because a metal roof lasts longer, you can reduce the amount of scrapped roofing material that goes into landfills by installing one. Smart investment. Even if you don’t intend to stay in your home for 50 years, your metal roof will add to your property’s value when it comes time to sell your home, since the new owners will know that they won’t have to have a new roof installed for years. If you’d like to explore adding a durable, attractive metal roof to your Maryland property, call Dominion Roofing Co. at (301) 942-2009. We’ve been helping area home and business owners with their roofing needs for more than 25 years!